Home /Social Media Marketing » Is the way you manage your social media failing you? As much as businesses all over the world have joined the social media wave for the good and maximum exposure of their businesses, not many know how to optimise and engage using these platforms. Social media is coming up with more ways to open your business up to the world and potential customers, but companies are finding it harder and harder to keep up with the new developments that come up on each social network at random times. Some companies have ownership of several social networking accounts but still maintain a near non-existent social presence. When a business merely joins Twitter or Facebook without assigning a person to properly captain online presence or merely tweets once or twice, and doesn’t follow or engage, it is missing out on a lot of social media benefits. Online social platforms are becoming a very big part of gaining customers and popularity – the more you engage, the more exposed you are and the more clients you will gain. It has not occurred to some companies to bring social media into their marketing strategy and those that are in the loop can’t keep up with the different ways to optimise their social networking. 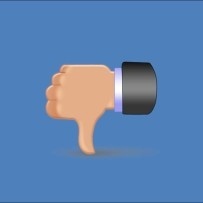 But just how much are businesses failing to bring their social media management to the fore? Do you want to strengthen your social media strategy? Talk to us about optimising your social media presence and getting the most out of it for your company. Contact WSI today!